Ear wax is a substance that is normally produced by glands in the outer ear canal. Even though people simply treat ear wax as something filthy and tend to remove it every day they may not be aware of the necessity of this substance and its positive effects. Ear wax (medically known as cerumen) can be classified into two types, dry cerumen and wet cerumen. Dry ear wax is generally gray and flaky. 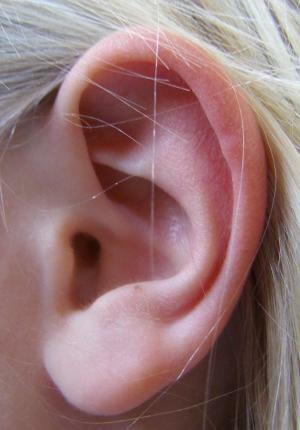 Wet cerumen, on the other hand, is quite moist and may be yellowish or even dark brown. What are Functions of Ear Wax? This substance is produced by specific wax glands, medically known as ceruminous glands. They are normally localized in the skin of the outer ear canal. The basic role of cerumen is lubrication. With sufficient lubrication the skin of the outer ear canal stays moist, and dryness and itchiness are successfully prevented. Furthermore, cerumen is highly efficient against certain bacteria and fungi. But one of the most significant functions of ear wax is mechanical removal of all the foreign particles that enter the outer ear canal (dust, dirt, insects, microorganism etc). This is achieved by sticky characteristic of the cerumen which traps the foreign particles. What follows is elimination of the foreign particles which is assisted with certain activities of the jaw such as chewing, speaking and yawning. There is no particular cause of ear wax production. It is simply one of the normal bodily functions. As it has already been mentioned ear wax is essential in capturing foreign particle which enter the outer ear canal and their elimination. This elimination is enhanced with jaw movement as well as the movement of the tiny little hairs that normally line the ear canal. In some cases ear wax is not removed from the ear canal which may eventually cause its build-up. If the accumulated ear wax is not removed it may also lead to ear wax impaction. Ear wax impaction affects people of all ages. Still, it predominantly occurs in older adults. Increased production of ear wax, its build-up and subsequent impaction may be induced by a habit of using cotton swabs, hair grip or even fingers for cleaning the ear. If these objects are put into one's ear they may push the ear wax deeper in the ear and lead to its impaction. One more cause of ear wax impaction is excess of hair in the ear canal. In this case the ear wax simply cannot be removed properly. Ear wax impaction can be also associated with entrance of too much dirt and dust. And finally, the problem may be connected with abnormalities in the structure of the ear canal. Once the ear wax has accumulated it leads to specific symptoms such as a sensation of fullness and tinnitus. Even hearing may be significantly hampered. The condition requires medical help. Fortunately, ear wax can be prevented if one abstains from excessive usage of cotton swabs and similar objects in cleaning of the ears. COuld accumulated cerumen be causing pain? Objective blood pressure for a diabetic? After root canal, swelling began in feet, hands, legs,face,hips,stomach.